Stanley Jones was a Lecturer of French at the University of Glasgow from 1946 until 1978, and a Reader of French at the University from 1978 until 1981. His biography of William Hazlitt, Hazlitt, a Life: from Winterslow to Frith Street (1989) is considered a milestone in literary studies. Jones was born in Cardiff in 1916, son a a carpenter. He studied at University College, Cardiff, until 1939 with the outbreak of the Second World War, he attached to the Intelligence Corps in Salisbury. Stanley resumed his doctoral research, a study of Proust, at Cambridge, and McGill University. 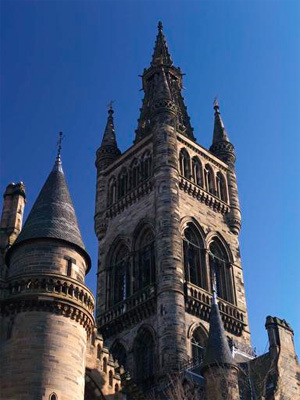 Jones was appointed to a full lectureship at the University of Glasgow in 1946 by Professor Alan Boase, at a time when such permanent posts were rare. In 1962, Jones purchased a volume of notes of lectures delivered at the University of Glasgow by Sir William Thomson between 1849-50 from a secondhand bookshop in Glasgow, and in 1969, he sent a letter to the principal informing him of his wish to donate the notes of Lord Kelvin's lectures to the University. In 1978, Jones was appointed Reader of French, a position he held until 1981. Jones died in March 1999, at the age of 83.